EMM Labs is hardly a newcomer to the world of digital. They have been building digital equipment since 1998 and Ed Meitner, the owner, has been designing professional digital gear much longer. In fact, much of the digital software available today was mastered using analog-to-digital converters designed by Meitner using algorithms very similar to those used in his consumer gear. The XDS1 begins with a rigid, non-resonant chassis which although not quite up to the standards set by Esoteric in their top-of-the-line products, is nonetheless a significant improvement over their earlier efforts. It then incorporates a transport and a D/A converter that can receive a variety of external digital sources (AES/EBU, Toslink) in a single box. The transport is a modified Esoteric mechanism which offers excellent stability and reliability supposedly. There seems little disagreement that while there are many transports available OEM, the platinum standard in the industry is clearly the Esoteric. 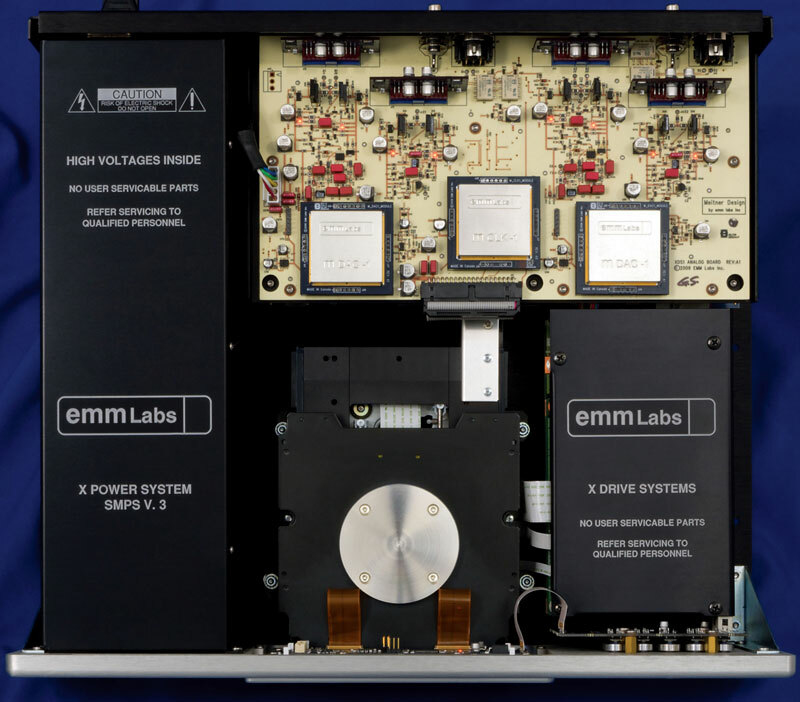 Most manufacturers also rely on OEM chipsets for conversion from digital to analog; EMM Labs has chosen a radically different approach. They have developed and now manufacture their own proprietary conversion circuitry in-house. For the XDS1, they refined their conversion algorithms to create something extraordinary. Unlike off-the-shelf chipsets, it is a discreet, dual differential circuit. Rather than addressing the digital signal as a series of sine waves, as in the standard convention, the Meitner MDAT up-samples CD and SACD audio to the 2xDSD frequency of 5.6MHz, by dynamically adapting to the transient nature of the musical signal. The up-sampled audio is then sent to the MDAC, which is Ed Meitner’s proprietary discrete 2xDSD digital-to-analog converter. In this way, the XDS1 and other Meitner gear are unique and singularly able to preserve the phase, frequency and dynamic integrity of the original signal. In tandem with the MDAC, Meitner has developed a new clock. Most converters utilize a phase lock loop circuit to lock onto the incoming data stream. For the XDS1, EMM Labs developed a high speed asynchronous system that acquires any data stream almost instantaneously and then strips out the audio stream completely. EMM has also developed a new high isolation resonant mode power supply that is one of the quietest that I have heard. This supply occupies almost one third of the box and is thoroughly shielded from both the digital and analogue electronics. Finally as a finishing touch, the XDS1, unlike the company’s own CDSA and DAC2 units, foregoes the use of high quality op-amps for the output stage. 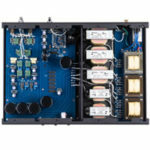 Instead, they have chosen to use a Class A output stage which incorporates extremely high quality discreet parts. This is a heavy unit (17 kg) which arrives well packaged in double boxes. The exterior is understated, consisting of a simple brushed aluminum face and body. While the buttons on the faceplate that operate the unit are small and non-descript, they contrast starkly with the size 50 font used on the digital display of track and time information (the display can be turned off). On the back, in addition to the typical RCA and XLR outputs, the unit offers digital outputs and two digital inputs. In contrast to the Esoteric X01-D2, the drawer is slender and understated, elegant but solid to the touch. The transport inside is the Teac VOSP and works flawlessly. The remote is quite intuitive. It has a very solid feel and I find the brushed aluminum quite attractive. I do wish that the buttons on the remote were backlit for use at night as in the CDSA remote. Through the Acapella Triolon Excalibur speakers, the unit never sounded bad even straight out of the box but did improve considerably with extended break-in. I noticed no further improvement after 30 days and little, after 15 days. Given the rather Herculean power supply, I was somewhat surprised that the unit was quite sensitive to the power cord used. The stock Kimber Kable power cord was acceptable, but significant sonic benefits could be had by using a more sophisticated unit. Two cords seemed to work extremely well with the unit but sounded very different, the Jorma Prime and the Stage III Zyklops. Later in the listening, I purchased a Weizhi AC distribution box from a friend and was able to achieve an excellent result by running the Zyklops from the wall to the Weizhi, and a Jorma from there to the XDS1. Likewise, the XDS1 benefitted from mechanical isolation, much in the same way as the Esoteric X01-D2. Sitting the unit on a Finite Element Pagoda Master Reference equipment stand with Cerabases between the XDS1 and the shelf wrought a nice improvement, but the Halcyonics isolation base was clearly the preferred choice. The Halcyonics provided a much lower noise floor, better dynamics, better focus and depth, and better inner detail. Emmy Lou Harris Wrecking Ball. The Emmy Lou Harris CD had greater clarity and space between the instruments, a better aural impression of the studio effects that were applied to many of the instruments, and increased clarity of Harris’s enunciation, which seems at times almost intentionally vague, in keeping with the dream-like haze that seemed to be intended by producer Daniel Lanois in this somewhat hallucinatory production. Rosa Passos & Ron Carter Entre Amigos. Cheskey B000009QH8D –Insensatez. The entire CD is very well recorded. It is excellent for general impressions. Solveig Slettahjell (and the Slow Motion Quintet) Pixiedust. Act Music (German release) ACT 9708-2 c.2006. This CD has layered background and was used for transparency. Ruth Ann Swenson Positively Golden –Coloratura Arias. EMI Classics – CDC 0777 7 54827 2 0 c.1996. Swenson’s coloratura soprano voice is exquisite but occasionally difficult to reproduce in certain parts of her range. Jacqueline du Pre, Dvorak and Elgar Cello Concertos. EMI Classics xrdc2 – 7243 8 26770 24 c.1995. Still the most difficult CD to get “right,” particularly Track 4. I also have the EMI early stereo recording of this performance on vinyl for comparison against the CD. In passing I would highly recommend any of the JVC xrcd2 discs. In addition to the du Pre, I have particularly enjoyed the Dire Straits Brothers in Arms re-issue. The first thing which strikes you with the XDS1 is the wealth of musically meaningful information, which it is capable of retrieving from digital media. This is particularly the case with low-level information, such as the ambient signature of the space in which the musical event occurred. Prior to having lived with the XDS1, I would have said that the top-of-the-line Esoteric machines had the edge on any other digital players in this area. Now, I will say that the degree of detail provided by the P03/D03 and the XDS1 are equivalent but that the presentation of that detail by each is very different. Think of the same listener sitting at two very different locations in a hall, one very close to the stage, the other more mid hall. Both are presented with equal levels of detail but that detail is perceived very differently at each location. Close to the stage, there is an abundance of direct sound which gives the illusion of enhanced detail (hyper detailed). Ten to twelve rows further back, the direct sound still predominates but now there is a component of reflected sound which adds information about the hall. The sum of the detail provided by the direct and reflected sound is actually greater than the detail at the more forward listening position, but may not seem so. 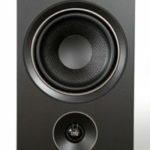 The P03/D03 are absolutely superb in providing the more direct detail but less obvious with respect to more subtle cues such as ambience or the sound of the body cavity of a cello or double bass. Other areas which are outstanding include presence, purity of sound, imaging and total absence of digital artifacts. Taken as a whole, these add up to a level of realism that leaves the competition in the dust. Music emerges from a totally black background in a way that can at times be startling. There is clearly a correlation between low noise floor and the ability to hear low-level detail, particularly ambient information. The lower the noise floor, the easier it is to discern low-level information. Likewise, past experience leads me to believe that there is a correlation among low noise floor and dynamics. Units with low inherent noise often excel in distinguishing fine gradations in dynamics at the soft end of the spectrum. In this particular case, that ability extends throughout the dynamic spectrum from the softest caresses to the loudest crescendos. 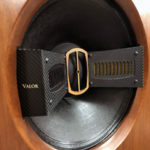 This unit has a notable absence of distortion products, both digital and analog which subtly induces the listener to keep raising the volume level. Those of you familiar with the sound of a piano will know that it is perhaps the most difficult instrument in the orchestra to reproduce. I think that this is attributable to a number of factors including the number of octaves which it embraces, its wide dynamic range and its ability to recreate fine gradations of mood and tone. The XDS1 does the most realistic job of recreating a piano of any digital piece that I have auditioned. Likewise, it does a superb job of recreating the sound of the violin. Not only can you tell a Stradivarius from a Guarneri, you can also easily identify one Stradivarius or Guarneri from one of an earlier or later period. Violins can sound quite nasty when digitally reproduced, but this is certainly not the case on the EMM Labs. I have a friend, the evil Weed, who in addition to being a lawyer received an undergraduate degree in music and occasionally performs. He is very sensitive to high frequency aberrations. As a result of his urgings, I have in the past cut back on the level of my tweeters when we were listening to digital software. Over the weekend listening on the XDS1, he requested that I restore the tweeters to the factory recommended position. I think this says something about the quality of the top-end response produced by the XDS1. 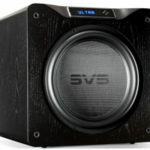 I purchased the EMM Labs XDS1 which I have for review. It has been a revelation, particularly since I am intimately familiar with the Esoteric X01-D2, the Playback Designs and had an EMM Labs CDSA in my home for the 6 weeks prior to receiving the XDS1. It is perhaps worth saying that that on an overall basis, I preferred the CDSA to the X01-D2 because of its musicality and correct tonality but felt that the X01-D2 was superior in retrieval of low-level detail, extension and control at the frequency extremes, and dynamics. The CDSA is a bit dry in the upper mid-range and capable of seeming a bit cold in its presentation in that region compared to analog. The XDS1 is more neutral, more “analog”. Insertion of Cerabases under the CDSA mitigated that effect but did not totally eliminate it. Bass with the XDS1 is bigger and richer without being in any way bloated or inaccurate. The CDSA also displayed a bit of congestion in the upper bass and lower mids that was absent from the X01-D2. The major failing of the X01-D2 was its tonality which is a bit lacking in harmonic complexity in comparison to the XDS1, and in its presentation of the top most octaves, which at times can sound somewhat digital. With respect to the Playback Designs, I again preferred the XDS1 which sounded more controlled, dynamic, neutral and above all had blacker backgrounds (really impressive here). I liked the tonality and ease of the PD and the detail and dynamics of the Esoteric; however neither is without problems. On redbook the PD lost control of the lower mids, upper bass and vocals. On SACD it was excellent. In contrast, the XDS1 exhibited a wonderful control of all sounds, with a balanced presentation that is truthful– not warm, not edgy, not syrupy, just liquid, with very solid, well-articulated bass. The XDS1 provides the music a great foundation. It is very controlled. While the Esoteric gear, particularly the P03/D03/G0 had its own set of virtues and in some instances was preferable, in the end, particularly given the level of performance vs. price, buying the XDS1 was an easy decision. what is the retail price of XDS1 V2? Just wanna confirm if its too costy here in H.K.